In Numbers 11:16-30, the Israelites are facing a big problem. Lots of logistical issues are facing them – wandering in the desert, tiresome manna to eat all day, meat coming out of their nostrils, that sort of thing – and it turns out that the solution to their problems is not better logistics, but better leadership. 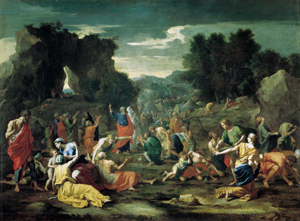 Moses finds that he can’t do the job alone, so God pours out the spirit on 70 elders to share the burden of leadership. Because one leader – Moses – is willing to empower others, the gifts of the community multiply. Moses is even willing to empower the leadership that springs up on the margins, as Eldad and Medad begin their unauthorized prophesying, and Moses affirms their ministry. Leadership in the church works this way. A transformative, visionary leader gathers together other leaders and empowers them for mission, delegating and sharing with them the task of leadership. As all are empowered with the Spirit, the Body of Christ grows healthier and stronger. I think real transformation happens with real leadership. And because I believe this, I can’t agree with the Crusty Old Dean’s suggestion that we elect a caretaker/interim PB at the next Convention. His argument is that we can’t elect a PB until we have defined the job. But I think that in order to change, we should elect a transformational leader, who shares the church’s vision and passion for change, and who has the ability to gather others around that vision. Certainly I understand that we are not a single-leader church – that The Episcopal Church is governed by a balance of people in various roles and various orders of ministry. I appreciate and participate in our democratically elected governance structures. And yet – I think that sometimes it takes a leader who is committed to change to empower all the many people who have to be on board to create real transformation. The whole group can create the vision, but it takes a leader to bring the vision to life, in all the many smaller groups that meet and carry out the work of the church. Otherwise the system works to maintain the same balance that it has always known, staying comfortable in familiar structures. Rabbi Edwin Friedman called this dynamic “homeostasis.” I worry that without a leader who is committed to leading the church through change, our passion for transformation will founder, and whatever changes the 2015 General Convention makes to our structure won’t have any effect against the powerful forces preventing real change. I believe that it is perfectly possible for us to elect a real agent of transformation as our next leader, and that that leader will be able to inspire change that our current structures will find very difficult to imagine. We need the kind of change that even the Task Force for Reimagining The Episcopal Church (TREC), with its mandate to consider new ways of doing things, will find it hard to convince the rest of the church to risk. That is why I hope the next Presiding Bishop will turn his/her attention from the issues that were most pressing in the current triennium (relations with the Anglican Communion and our own breakaway groups), to the issue that will be most pressing in the next (transformation for mission within the church). > Primate. 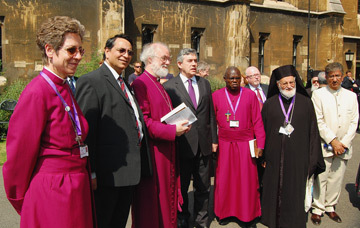 The PB is the spokesperson for the church to the world, including representing us in the councils of the Anglican Communion and ecumenical affairs, advocating for justice issues, speaking for the church in times of national crisis, etc. This function was not contemplated in the original job description of the PB, but we need this kind of public leader. If we didn’t have one, we would invent one. I don’t see how a diocesan bishop can function in these two necessary roles, with all the travel involved, which is why I don’t think the PB should remain as a diocesan bishop. And this Primate function is why the PHoD will never be an equivalent office to the PB, because a non-bishop will never be seen as a Primate. > CEO and Head of Staff. The original office of PB certainly never contemplated that the PB would have a staff, other than perhaps an administrative assistant. But the churchwide staff has grown to the point that it would be impossible for a PB to do her other two roles and keep track of the staff as well. Therefore, staff oversight is mostly delegated to a Chief Operating Officer who functions, effectively, as the CEO, and is accountable only to the PB. This is why I think the Crusty Old Dean’s suggestion of having an elected COO, from any order of ministry, has real merit. General Convention has defined the need for a churchwide staff, and funds the positions. Let Convention, or its interim representative, Executive Council, which is the church’s Board of Directors, select a CEO/COO/Head of Staff who is separate from the PB. Let that office be accountable ultimately to General Convention, and in practice, to Executive Council. Selection of the Presiding Bishop. The nomination process for the PB is budgeted to cost $226,000 this triennium. Incredible! As a member of the Finances for Mission committee of Executive Council, I can say we were all astounded and troubled by this figure, but we couldn’t see how the JNCEPB could do the work it was given by canon for less. So – let’s change the canons. My friend Del Glover, a former member of Executive Council, proposed to me by private email that we elect the PB by considering every bishop who is young enough to serve the full term a nominee; and then having both houses of Convention vote (by orders) until the same candidate is elected by both houses. Get that? All three orders of ministry would be voting on the Presiding Bishop, just the same way that in a diocesan election, both the lay and clergy orders get to vote until both orders have agreed. The person elected by all three orders would truly be a Primate for the whole church, and not just a representative of the bishops. This is appropriate because our PB is not just the presiding officer of one house of Convention; she/he is the Primate for the whole church. In our current system, the lay and clergy role in selecting the PB is expressed in the nominations process, and in the HOD’s rubber-stamp ratification of the HOB’s choice. Couldn’t we accomplish the election more appropriately, and more simply, by letting all three orders vote? > Consider every bishop who is young enough to serve the full term (and who doesn’t refuse to stand as a candidate) a nominee, and then honor the HOB’s role in selecting its own presiding officer by allowing it to vote as many times as necessary to narrow the field of candidates down to three. This allows the House of Bishops, whose members know each other quite well, to serve as the nominating committee. Then …. > Submit those three candidates to both houses for a vote, until the same candidate is elected by all three orders. Note that it would not make sense for a similar two-house vote to occur for the PHoD, because the PHoD is only the presiding officer of the HOD, and not a Primate who speaks for the whole church and represents the church to the world. Some things haven’t changed that much since the time of Moses. Leadership is still a key to transformation. I pray that visionary leadership in the years to come helps to usher the church into a new era of mission to our world. This entry was posted in Reflections by snooksusan. Bookmark the permalink. Have the PB return to only being the president of the House of Bishops. Let the bishops choose their leader, and the selection is over with. The PB would remain a diocesan bishop. Then, canonically create an archbishop (did I use such a word?) to serve as Primate. The Primate would be the CEO and chair of the Executive Committee. I don’t dislike the concept of Archbishop but remember there are two things that go with that office that historically we have never understood in these United States: (1) An Archbishop has visitation authority (2) exercises metropolitan authority. Our Primate is expected to visit each diocese of the ECUSA during the term of office. You know where I’m going with this, right? We need to get over it. If we are worried about over-reaching authority, with a Presiding Bishop in the HOB, a separate Primate/Archbishop would have a counterbalancing authority in rochet and chimere. I’m not talking about creating Super-Bishop. I’m talking about splitting the current Presiding Bishop with current authority into two more manageable positions. If the term archbishop is really that much of a deal breaker, then split the current office into a Primate (CEO) and Presiding Bishop (Chair of HOB). 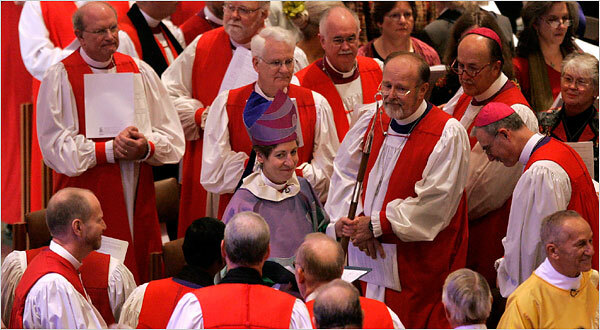 Make sure that the Presiding Bishop keeps enough authority (like presiding at bishop consecrations) to serve as a counterbalance to the Primate, but not enough to require this person to stop being a bishop diocesan or bishop suffragan (that would be a fun dynamic). . There in fact may be a “church wide” vision and passion for change (transformation). I believe that’s the case in word and perhaps in some sense of deeds. It’s not a prevailing and blatant truth from my perspective. There are places where such transformation is happening. Lots of folks aren’t aware of such change at many levels of the church and often don’t desire it, though they say they might. Here’s why – there are four basic barriers to change/transformation. 1). Unwillingness to discuss organizational realities as they are 2.) admitting that there are winners and losers in all such changes. 3.) the gap is too great between what is and what could be. 4). competing or self defeating priorities. Change is great but buildings, pastoral care, status quo arrangements between clergy and laity, etc. are equally are more important. These barriers are surfacing as The Episcopal Church moves further and further away from the most recent General Convention and day-to-day businesses and missions at the communal, parochial, diocesan, and denominational levels return to the entrenched places they have resided in for quite some time. “Leaders” are searching for technical and uncomplicated fixes when something else = something more transformational and challenging/opportunistic is necessary. In addition, the church continues to operate on the values of the 1940s, 50s, and 60s with authority figures beholden to the values of that time. Thus, anyone(s) promoting updated or transformational values in competition with the ones currently governing The Episcopal Church will have to work with and adapt to the four challenges I have mentioned earlier in this paragraph. You are absolutely correct in suggesting that the system and the people within it are getting exactly what they want. Thus, they choose and/or mold persons to exercise appropriate leadership so that the system can avoid discomfort, protect self and corporate egos, & genuinely keep current stakeholders in place by not inviting other stakeholders with less power to the table. Your proposal for members of both houses to elect a bishop sounds worthwhile. Will is gain traction now and at the next General Convention. You best consider gathering allies to work toward that proposal now. So, what are the “three orders” of which you speak – bishop, priest and deacon? I thought there were four “orders” (or kinds) of ministers in The Episcopal Church — lay persons, bishops, priests and deacons. Chris, when I speak of voting by orders, I am speaking specifically of voting orders. In the House of Deputies, when we take a vote by orders, there are two orders: (1) lay and (2) clergy (which includes both priests and deacons). Therefore, in the kind of voting I am proposing, the three orders involved would be (1) lay, (2) clergy (priests and deacons), and (3) bishops. Bob, thanks for the comment. I’m not ready to get over my dislike of the word “archbishop,” since it means “ruling bishop.” I think that goes against our concept of the PB as first among equals. Your different take on how to take away one of the PB’s three areas of responsibility is intriguing, though. Jim, thanks for the great comment. I agree that change will be very difficult, for the reasons you articulate so well. 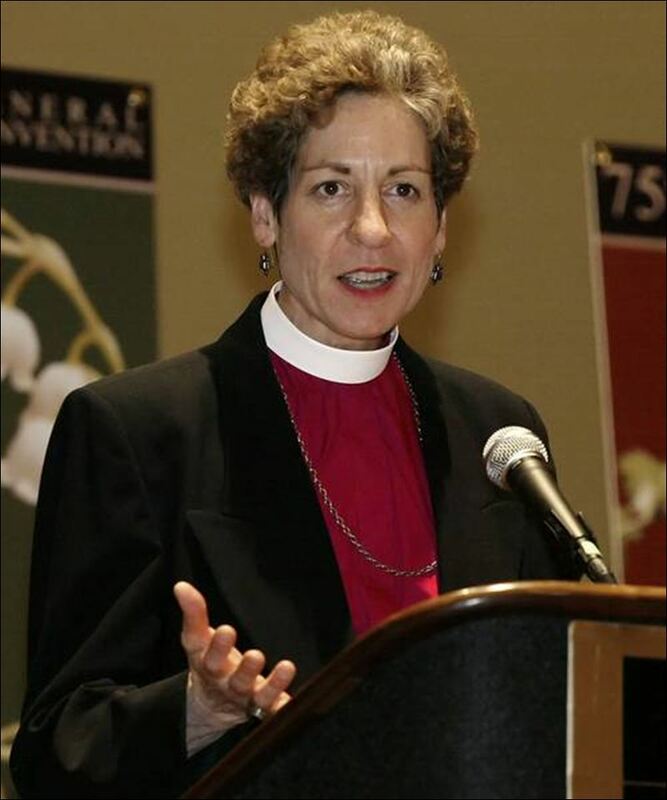 The Presiding Bishop and Primate is essentially an archbishop now, using your definition. That train has already left the station. Hence, why I say we need to get over it. Or, remove some of the authority and responsibility of the CEO. Then find a less threatening name for colonial tastes. Something about not bearing false witness, and all that. We have a de facto archbishop now. A post that provokes lots of thoughts, which I am still mulling. But one thought that comes to mind right now has to do with the Eldad and Medad passage, specifically the way Joshua reacts so negatively to their ministry. Moses says he is reacting out of envy, but I think it is fear—fear of change, fear of letting things get “out of control.” I don’t think we’ll be able to bring about any meaningful change in the Episcopal Church until we openly name and talk about our fear of change and fear of what the future may hold. Also, what work do the canons give the PB Nominating Committee that isn’t obvious (that is, produce a slate of nominees)? Hi Susan. Your concluding proposal made me smile, as that is almost exactly the procedure used in my own Anglican Church of Canada. For more details, see http://images.anglican.ca/pdf/handbook/203_canon_III.pdf All I can say is, it works! Regarding the Eldad and Medad story – this is not the first time recently I have seen that text applied to church restructuring. But I don’t think we have yet appreciated Moses’ last words on the subject: “Would that all the Lord’s people were prophets!” And the fulfilment of that prayer at Pentecost. In the church, we ARE all inspired for this kind of conversation. I think we are still groping for structures that can give voice to “all the Lord’s people”, and life to that vision of who we are. The alternatives you sketched out regarding a caretaker versus transformational leader, remind me of what I see all the time in parish profiles. Parishes want someone to come and bring them a vision. But vision is not something you hire in, not if God is speaking through all the people. It’s a bigger, but more satisfying, challenge to find a leader who will let “all the Lord’s people” speak, and give them a chance to forge the vision that comes from the Spirit within them.